Heated Seats, Turbo Charged, STYLE & COMFORT PACKAGE FOR S, CD Player. S trim, PURE WHITE exterior and TITAN BLACK V-TEX interior. READ MORE! Back-Up Camera, Turbocharged, CD Player. Volkswagen S with PURE WHITE exterior and TITAN BLACK V-TEX interior features a 4 Cylinder Engine with 174 HP at 5000 RPM*. STYLE & COMFORT PACKAGE FOR S Automatic Variable Intermittent Front Wipers, rain sensor, Frameless Self-Dimming Rearview Mirror, Body-Color Door Handles, Automatic Headlights w/Coming/Leaving Home Feature, Heated Front Comfort Seats, 8-way manual front seats w/height adjustment, manual lumbar support and 2nd row easy access, Body-Color Side Sills w/Chrome Moldings, 17" Philadelphia Alloy Wheels, Keyless Entry w/Push Button Start, Radio: AM/FM/HD 6.3" Touchscreen w/CD Player, Composition Media, USB input, aux-in and voice control, 8-speaker sound system, VW Car-Net App-Connect smartphone integration and interface (w/Apple CarPlay, Android Auto and MirrorLink), Bluetooth connectivity (for compatible devices) and SiriusXM satellite radio (limited-time trial subscription), Tires: 17" AS. Rear Spoiler, Steering Wheel Controls, Heated Mirrors, Electronic Stability Control, Bucket Seats. "The 2018 VW Beetle is a sporty drive, with plenty of power and agile handling. At freeway speeds, the Beetle feels stable and solid, returning the kind of ride and handling more commonly associated with a midsize sedan." -KBB.com. 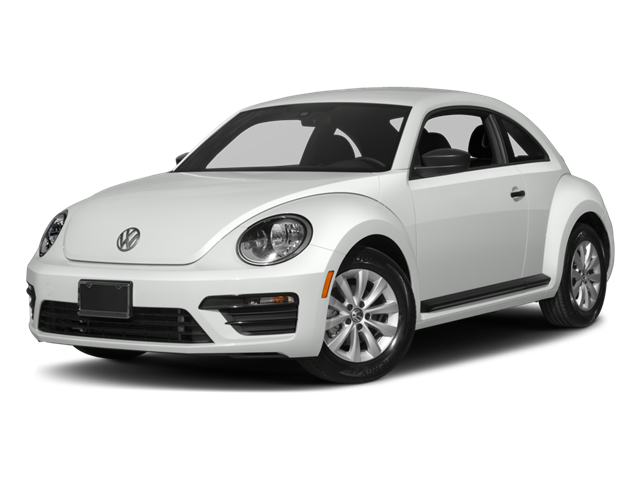 Hello, I would like more information about the 2018 Volkswagen Beetle, stock# VW10485. Hello, I would like to see more pictures of the 2018 Volkswagen Beetle, stock# VW10485.